The activists did so on CPI(M) instructions. Pune: A Pune court on Thursday extended the police custody of four activists, recently arrested on June 6 for alleged naxal links, till June 21. The public prosecutor argued that the activists were involved in planning a series of lectures at Delhi’s Jawaharlal Nehru University (JNU), in memory of slain naxal leader Naveen Babu, so as to provoke students into joining the banned Communist Party of India (Maoist). The activists did so on CPI(M) instructions. The public prosecutor said that the CPI (M) was supposed to fund the event and that the police found rs 80,000 from the house of Ms Wilson who is unemployed. Whereas the defence dismissed these accusations, saying that since the police couldn’t get anything in the investigation, it had come up with such a theory. 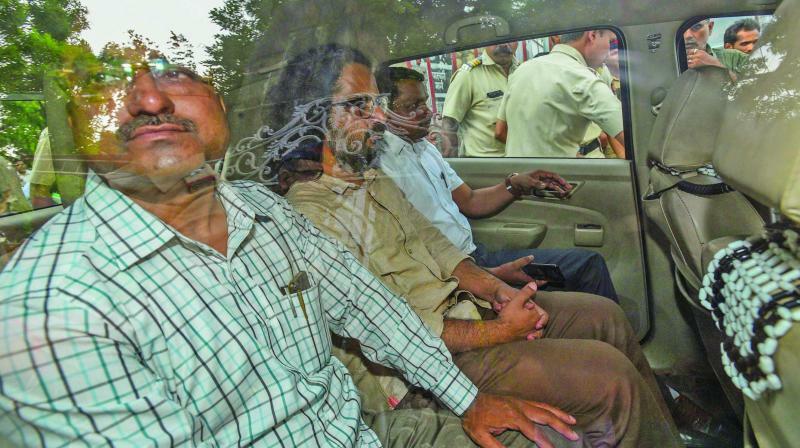 The arrested activists - Shoma Sen, Mahesh Raut, Rona Wilson and Sudhir Dhawale - were produced in the additional sessions court Pune headed by K.D. Wadane on Thursday.